dance as husband and wife. You just keep me hanging"
It's difficult to pass on this indie rock icon. The second song that we decided on is the track that we are going to walk out to. 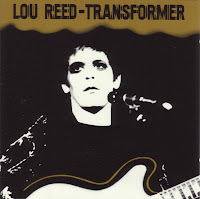 Again we went with a Lou Reed song, but from earlier in his career when he was the man behind The Velvet Underground. The song is a leftover from their S/T effort in 1969 and appears on 1985's VU album and on the Peel Slowly and See box set released in 1995. 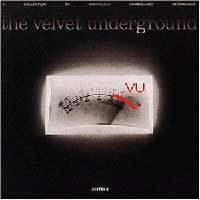 Despite what most people think, the lead vocals are not performed by The Velvet Underground's usual cohort Nico, but are courtesy of The Velvet Underground's percussionist, Maureen Tucker. The final decision was the most difficult. What song is worthy of leading Tarah down the aisle? We wanted something epic, but nothing that might try to upstage. My initial choice was Europe's Final Countdown a.k.a. G.O.B. 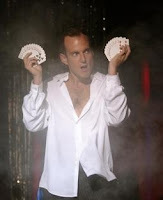 's theme song, but realized that only Tarah, Jeremy and myself could truly revel in that song's amazingness. After passing on the illusionist's theme, I set off in search of a truly fitting song. I focused in on works by some of our favorite (mostly) instrumental artists, Explosions in the Sky, Mogwai, Godspeed You! Black Emperor, Mr. 1986 and Album Leaf. 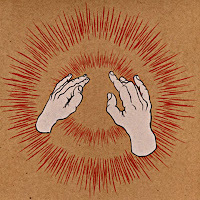 What we finally settled on is an abbreviated version of Godspeed's (Storm) from their 2000 release Lift Your Skinny Fists Like Antennas to Heaven. The track has a great build and at it's crescendo, Tarah will begin her walk down the aisle to meet me on the beach. cool guys. if "final countdown" needs one more person to 'get' it that would push it over the edge, count me in. in other thoughts: congrats and good luck until i see you.